If you have a little one with a loose tooth, we’re betting that excitement about the tooth fairy has been growing for quite some time! 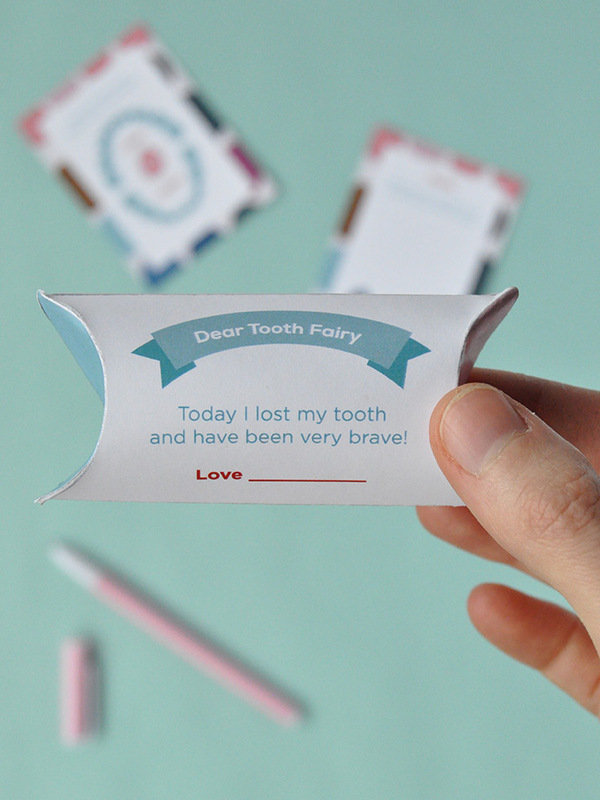 Once that tooth wiggles its way out, these printable notes for the tooth fairy are just what you need! 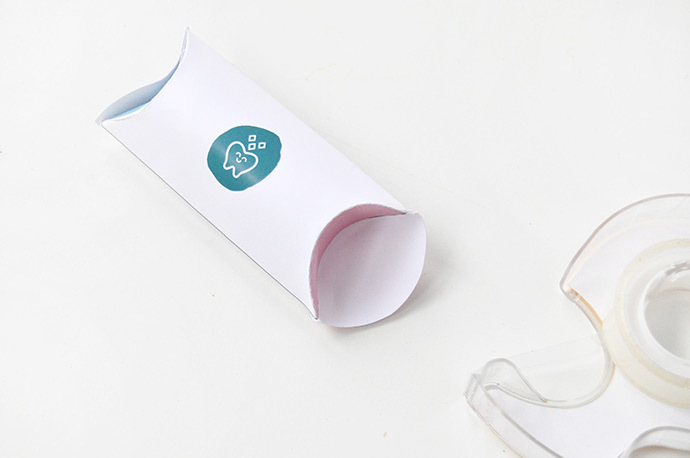 Use the paper pillowbox to keep that precious tooth safe and sound. The printable tooth chart is fun for little ones to mark off which teeth they’ve lost so far too! And just in case the tooth fairy is busy that night and misses your house, you and your child can write a little reminder to the tooth fairy on the “Oopsies!” note. 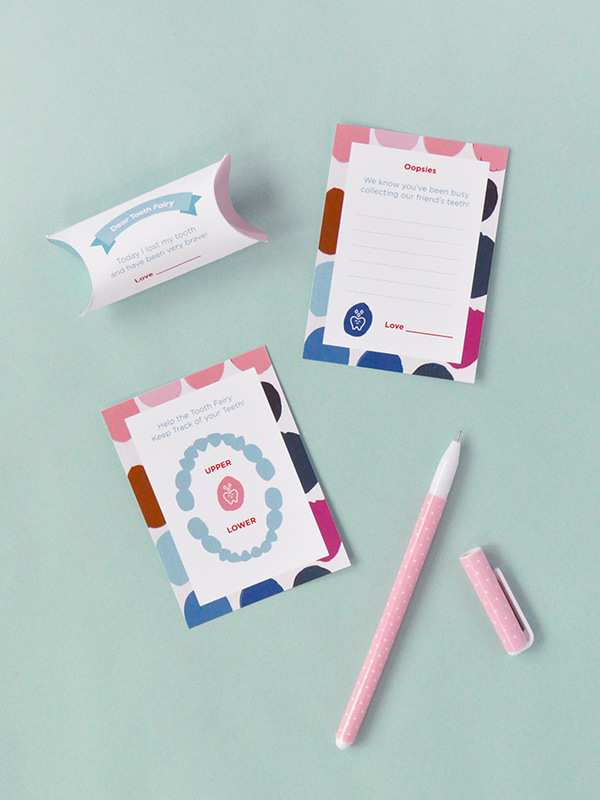 Scroll down to download the free printable! 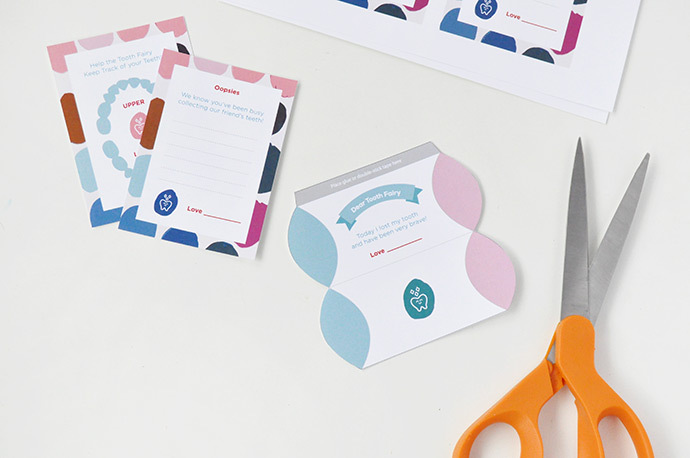 The first thing you need to do is print out the notes onto white cardstock and use scissors to cut them all out. 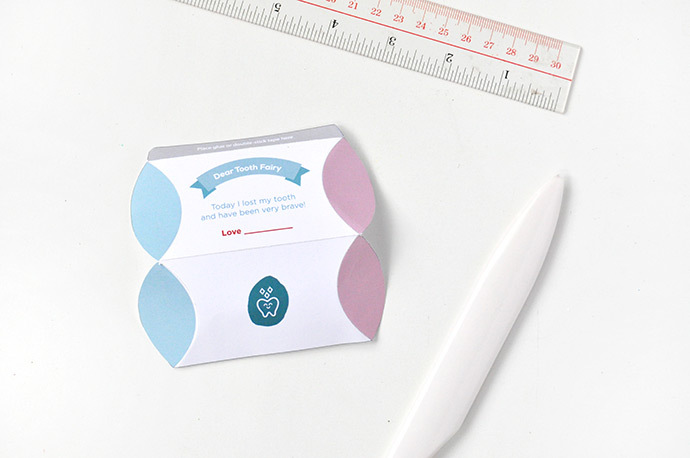 For the little tooth pillow box, use a bone folder and a ruler to score along the center grey line and the line next to the grey flap. 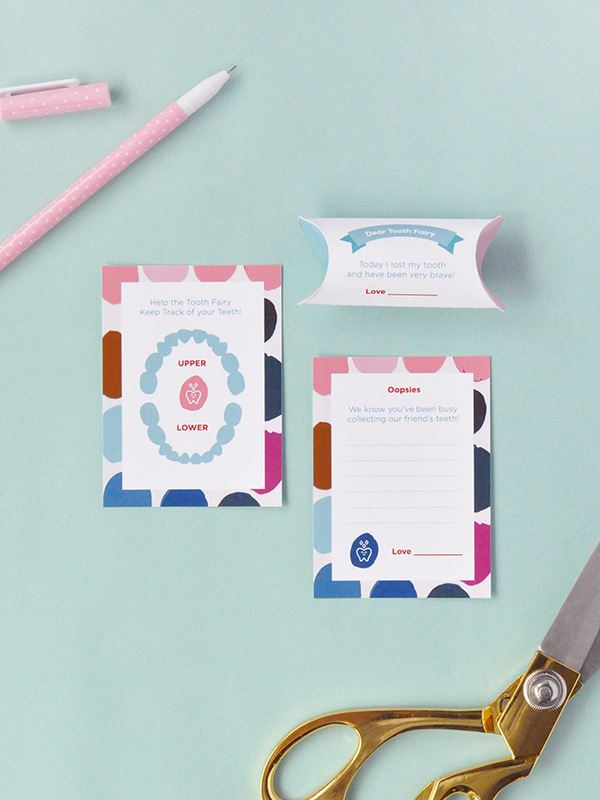 You’ll also need to use the bone folder to score along the curved lines next to the blue and pink edges. Fold the pillow box along the scored lines and use double-sided tape or glue to secure. 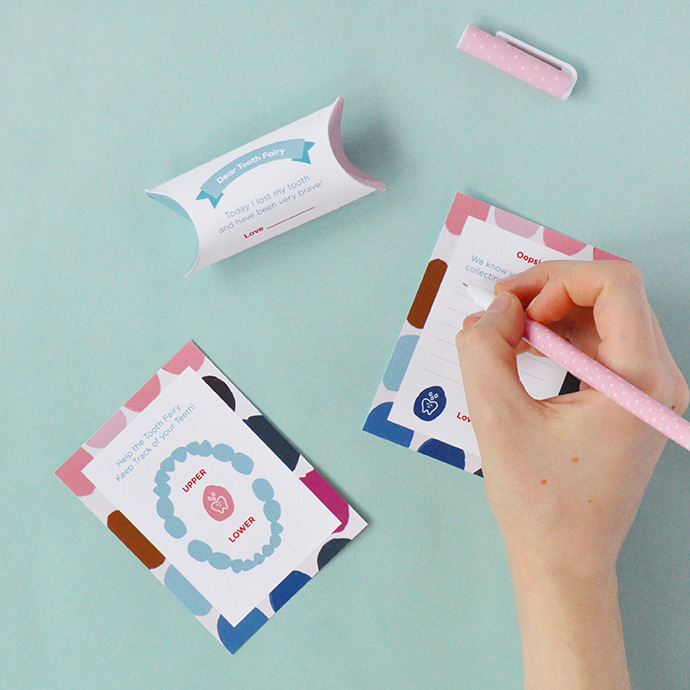 Carefully fold the colored ends in and your box is ready to keep your little one’s tooth safe! P.S. 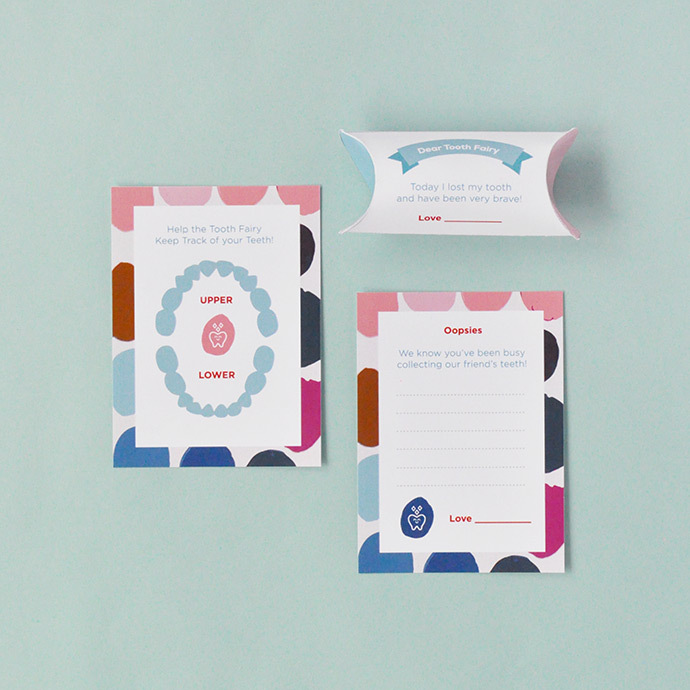 We also have another set of printable tooth fairy notes right here!